The latest version of the Android OS is now available in beta form. The catch is, you’ve got to own a Google Pixel phone to use it at this point. The rest of Google’s massive user base will get to see Android Q later this year. 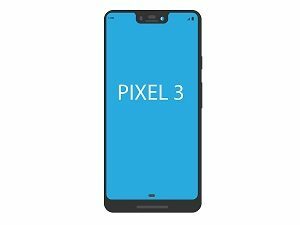 In an unusual move, the company limited access to their latest work in progress to Pixel owners, including those still using the Pixel 1 (which is technically no longer supported by the company). Better split-screen support – Note that this also specifically improves enhanced support for foldable screens, which appear to figure heavily in Google’s long-term plans. That’s good news for some phone manufacturers. If you own a Galaxy Fold, for example, when Q is released for your device, the change will have a big impact. Improved Security – On the privacy front, Android Q does not allow apps to launch any activity while in the background, which means that malicious apps can’t do anything nefarious without user input. Big Improvements To The Share Menu – One of the most persistent user complaints about previous versions of Android has been the OS’s sub-par share menu. It’s getting a major overhaul that makes it more intuitive and includes an option for developers to publish “Sharing Shortcuts” which should make the menu even more useful.